#LanguageHacking is a completely different approach to language learning. It’s not something only ‘other people’ can do. It’s simply about being smart with how you learn: learning what’s indispensable and skipping what’s not. There’s no need to learn every word and grammar rule before you start using the language. Instead, #LanguageHacking gives you the most versatile phrases and most effective shortcuts to help you get fluent faster. #LanguageHacking isn’t just a course. It’s a new way of thinking about language learning and how people communicate today. With the bespoke online language hacking community, you really can start speaking from day one! Teach Yourself™ has partnered with iTalki, a language learning community of over 3000 teachers and 2 million people, to develop a bespoke Language Hacker Learner Community so you can start sharing your language missions with other likeminded language learners. #LanguageHacking + iTalki makes it possible to immerse yourself in a new language without having to buy a plane ticket. 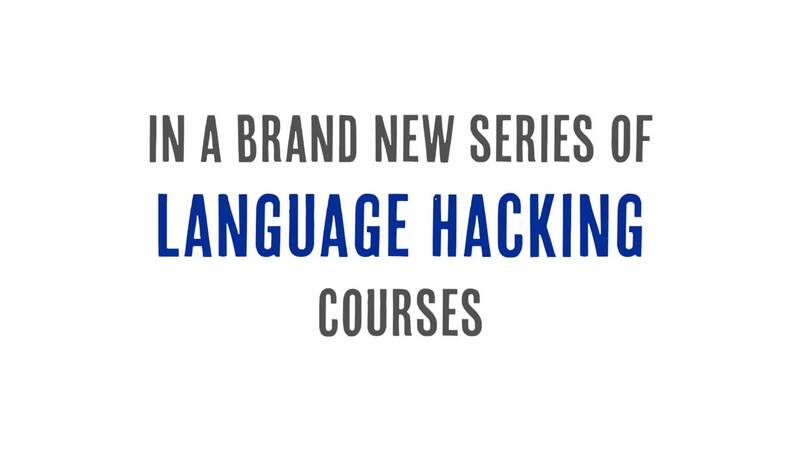 You get free access to the community with your #LanguageHacking course. Benny Lewis used to be just like most of us—fluent in just one language, but with a nagging desire to learn more. After university, he moved to Spain to try and pick up Spanish but found himself no more fluent after six months than he’d been when he arrived. Frustrated, he decided to put his background in engineering to good use by developing a method that broke down language learning into universal milestones, focusing on acquisition through regular conversation. And this is where Language Hacking began! Today, Benny is known throughout the language learning community as 'the Irish Polyglot' and is famous for his many online videos that document his language learning adventures around the world. He runs the internet’s biggest language learning blog, www.fluentin3months.com, and is the author of the bestselling book by the same name.